A team of developers based in Boston have created a new 3D storytelling device called the SID which uses both augmented reality and a 3D camera. Once captured your video footage can then be enhanced using special effects and also supports live stream videos as well as 3D selfies, watch the demonstration video below to learn more about the project. In just its first few days after launch the Kickstarter campaign has already raised 70 percent of its pledge goal with still 39 days remaining on the campaign. Pledges are available to earlybird backers from $159 with delivery expected to take place during August 2017. The developers of the augmented reality 3D camera explain more about its inspiration and design. 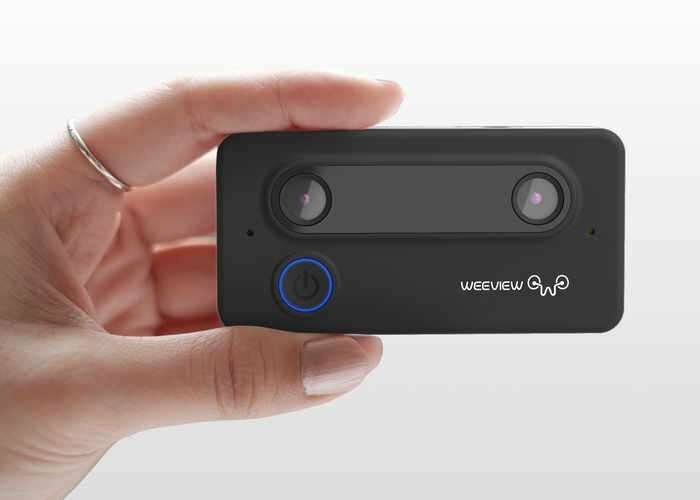 World’s first 3D camera with Augmented Reality special effects. Take your live stream videos and selfies to the extreme with 3D! At last, shake-free 3D content creation that’s easy and affordable for EVERYONE! Weeview’s SID offers the BEST immersive and stereoscopic viewing experience. Don’t just record the special memories, start re-living the experience in unbelievable life-like 3D format. Stereoscopic 3D cameras are bulky for a reason, the physical limitation between the two lenses in mimicking the human eye. With our patented digital video calibration, SID brakes all the rules and has made the form factor so small it fits in the palm of your hand. With video as the preferred content, taking it LIVE is the hottest trend on social media. We have taken live streaming to a whole new level by letting you live stream in 3D. See and Experience as it happens! Jump over to Kickstarter via the link below for more details and full specifications, as well as a full list of all the available pledges.